If you are considering looking up Party Bus Services Virginia and NOVA recommends, you are on the right track! Party buses have become a staple of prom night, featuring the perfect environment for students to celebrate; one that teens love, and that parents feel comfortable with. 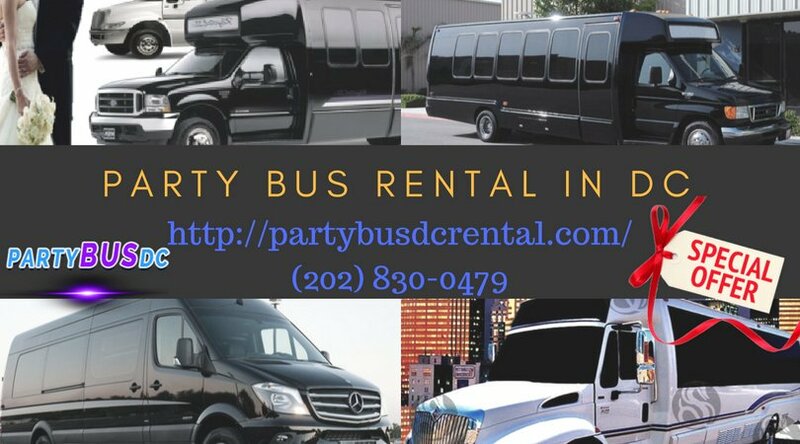 So before you miss out on Party Bus DC, prom goers are reserving, have a look at some of the top reasons you should consider grabbing one for yourself. You may not be old enough to get into many of your local dance clubs, but you can always host your own dance party inside of a party limo or bus. These vehicles are designed for fun and have everything a group needs to have an amazing time. Inside you and your friends can control everything from the temperature and lighting to the sound. Party buses come equipped with custom lighting, featuring both laser and fiber optics. Instead of renting sound gear to throw an amazing celebration, these buses come with their own professional sound system. You can get people moving with our deluxe bass boost and listen to playlists that you have created by simply plugging in your phone, iPod, or laptop.